The ability to customize each piece based on what is relevant to the reader, VDP is about delivering the right message, to the right person, at the right time. Shortened lead times and personalization – benefits that provide flexibility and relevance – are key factors in the success and effectiveness of promotion and customer relationship management. Let us help you truly speak to your audience, spur interest in your offer and create a buzz about your brand. It’s all in the details of your data, and VDP can bring them to life. Mitchell Graphics offers variable data printing (VDP) services on postcards, note cards, letters, personalized envelopes and more. By linking your mail list to your print file, we can drive individual text fields, paragraphs, images, even entire designs to be uniquely relevant to each individual recipient. Send different levels of offers to recipients based on status — customer, prospect, past customer, etc. Variable Data Printing (VDP) is a great way to bring your mail pieces to the next generation of direct mail and more importantly, get more out of your precious marketing dollars. By adding personalized variable data to each mail piece – you are speaking directly to the recipient, addressing their specific interest or needs. By speaking directly to needs – statistics are showing response rates and correspondingly, returns on investments increasing considerably, thus actually reducing the cost per lead. 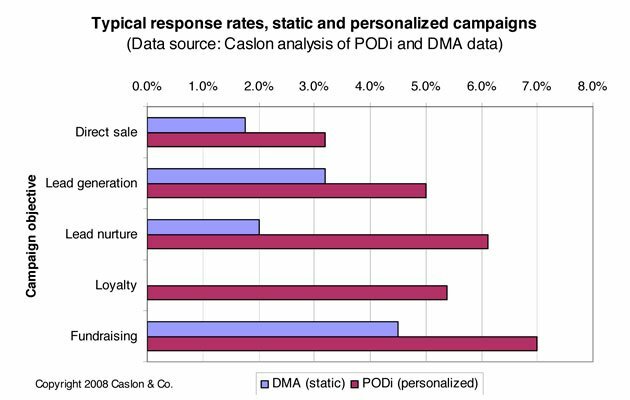 Using some conservative Lead Nurturing statistics – a static, non-personalized mail piece has a typical response rate of 2%(based on DMA data). 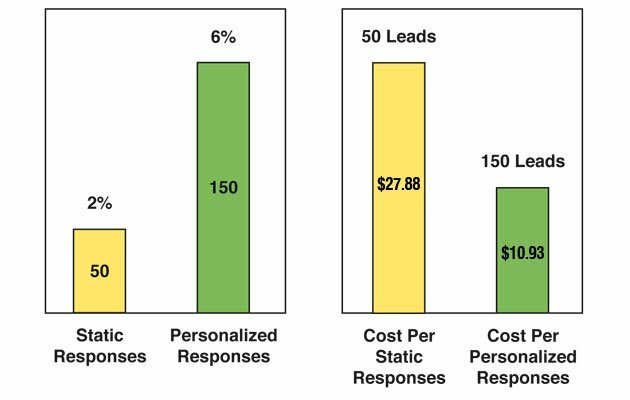 A basic personalized mail piece response rate may be 6%. That is a 300% increase in your lead response! Keep in mind – these statistics are provided using the lower end of research data – we do not want to overstate response rates as the rates can also vary depending on other factors – Design, Content and Personalization, Offer, and Timing of mail piece. versus a basic personalized mail piece using 5 simple variable fields. 3000 color front/color back – non personalized with a general mail list processed. 3000 color front/color back – 5 field personalized with a general mail list processed. That is 100 more leads with a savings per lead of $16.95 or 61% less cost per response! 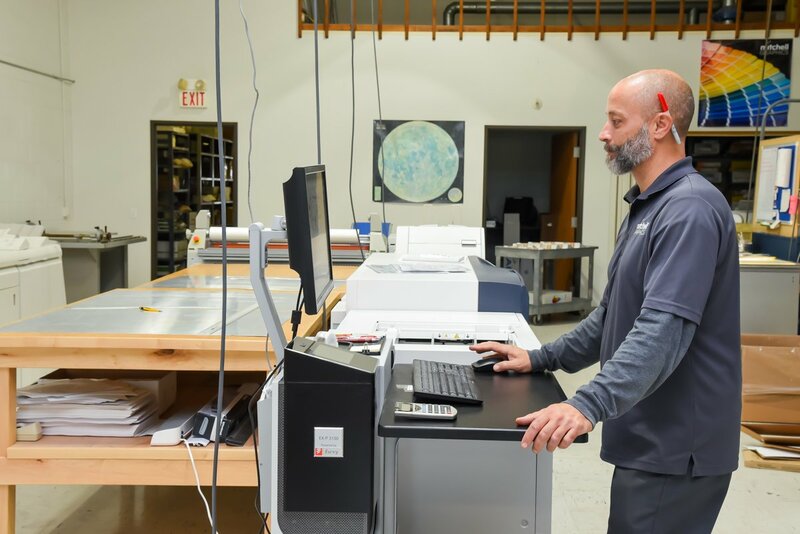 With Mitchell Graphics’ commercial printing, mailing and communications experience, we will help you increase your mail piece responses and get a greater return on your investment. Each VDP project is a custom mail piece with personalized printing. We will consult with you on each variable data project, working one on one to achieve the best value and return on investment to maximize your marketing dollars during a time when we need to most. Contact us today to talk about variable data postcards, or other printing project.